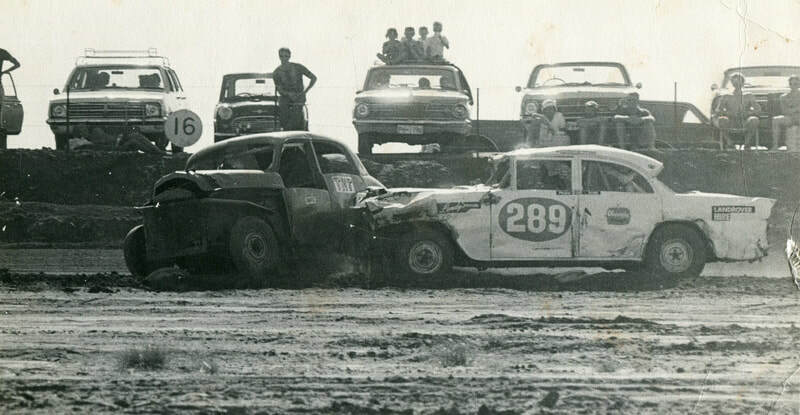 1971 - Phil Jones in the number 289 FC Holden at Hedland. Photo: Kevin Cotterill. 1971 - Phil Jones. Photo: Kevin Cotterill. 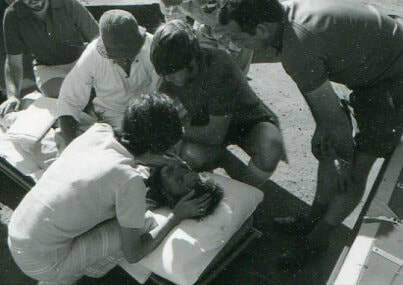 1971 - A sellection of pictures taken through the lens of Kevin Cotterill of Bob Brewer. 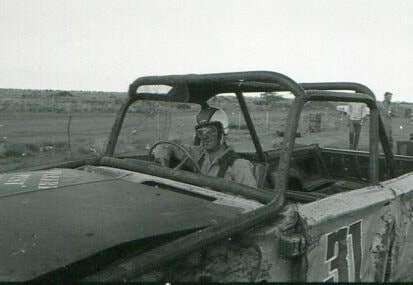 1971 - A Falcon ute running a 144 cubic inch engine was Graham's choice for racing. Photo's: Kevin Cotterill. 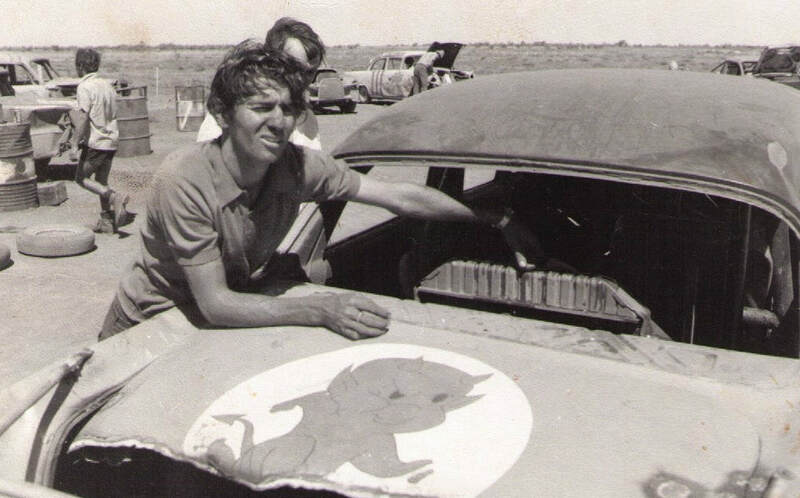 1971 - A young mechanic from Nannup by the name of Graham Happ living working and racing in the North West. Photo's: Kevin Cotterill. 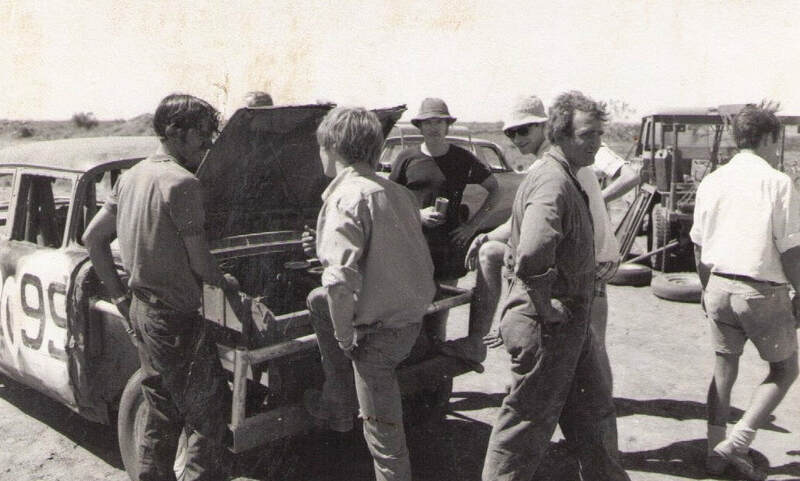 1971 - Ian White part of the Scrub Basher team in the cut down EH Holden ute. Photo's: Kevin Cotterill. 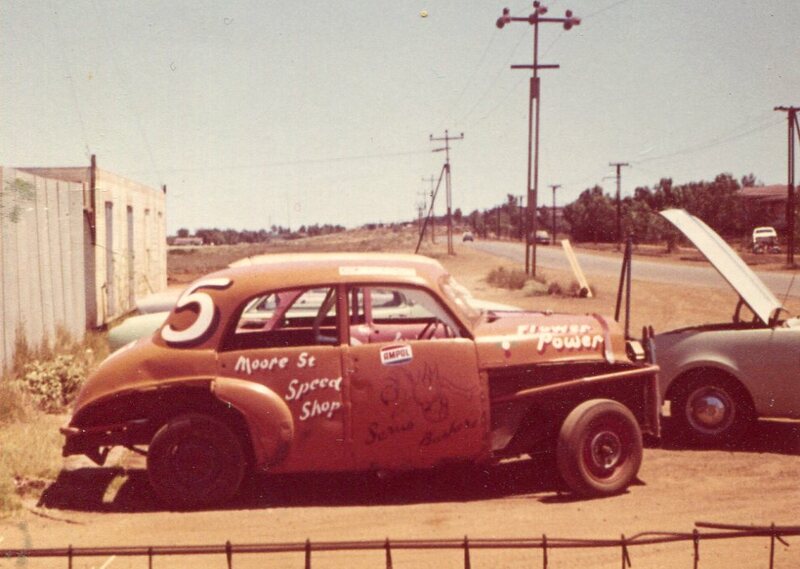 1971 - Allan was a Port Hedland local that worked at Mayne Nickless driving trucks, The Zephyr that Allan raced was the ex Mick Gauci car, Mick onsold the car to Allan when he decided to race supermodifieds. Photo: Kevin Cotterill. 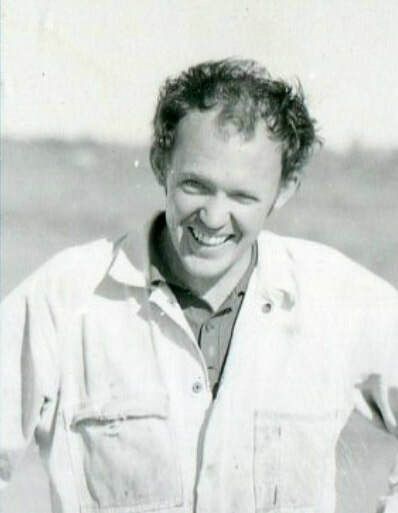 1972 - Allan at work. Photo: Bill & Lesley Temperton. 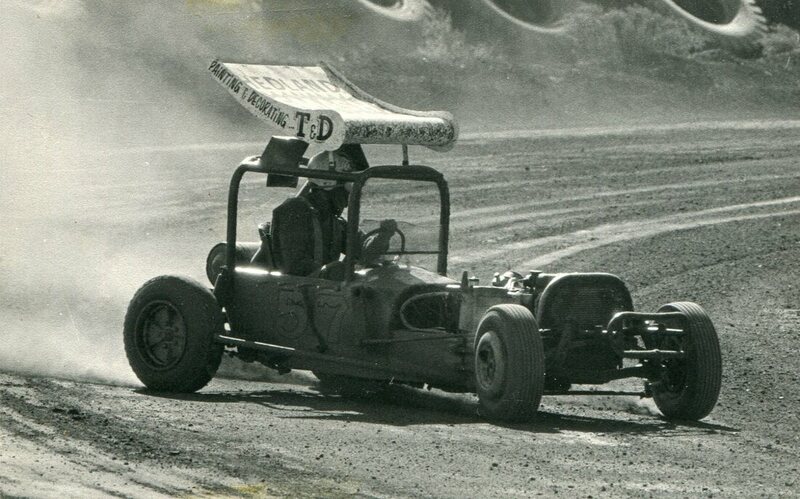 1971 - Laurie Walker in the number 60 machine. 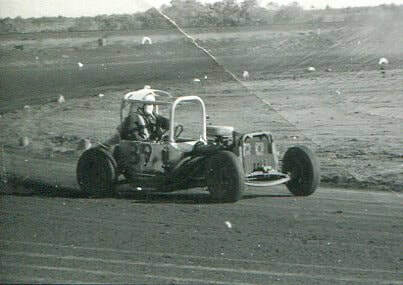 1971 - Ian Lee in the number 39 machine. 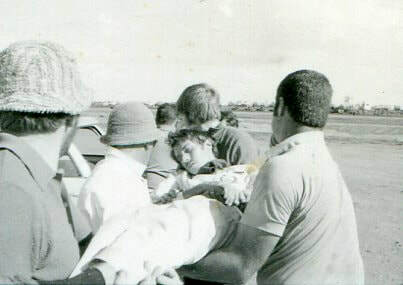 1971 - Race day and your out and about with your mates. Bill Tempo Temperton - Anton Price and Tony "Killer" Killmurry. Photo: Tempo family collection. 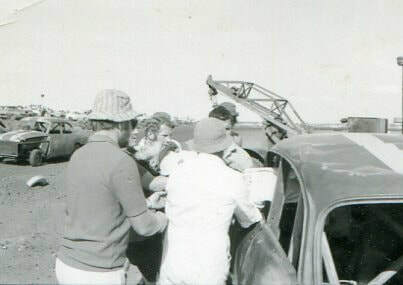 Bill Temperton recalls: In 1971 i brought a EH Holden ute of Doug Frost from Goldsworthy, (Harry Jones brother in-law) and totaled it at the first meeting, broke the bottom right hand lower wishbone pivot in the crossmember, the wheel went back into the firewall and the next thing i knew i was end for ending through turn three (Craven A Corner) into the tyres, didn't even take her back to Goldsworthy where i was working. 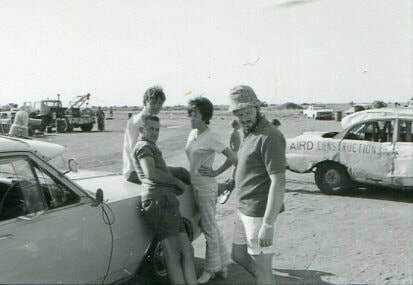 At the end of the year i brought another car, a FB Holden off Harry Jones called Hot Stuff and rolled out for the Pilbarra Open Championship, I was going very well in the final, sitting second behind Tony "Killer" Kilmurry in the 007 car, Three laps from home is when she started to slow down, the temp gauge was through the roof, but i still kept going till she ceased with one lap to go, Killer won the day. 1971 - Tony Killmurry in the 007 Holden leading Bill Temperton. Photo: Kevin Cotterell. 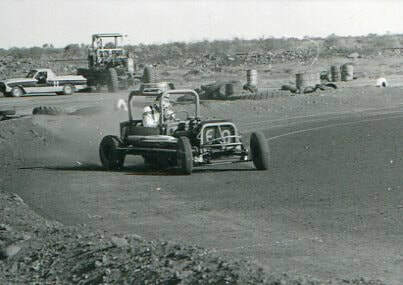 1971 - Bill Temperton in the ex Harry Jones FB Holden turning in some hot laps for Kevin Cotterill's camera. 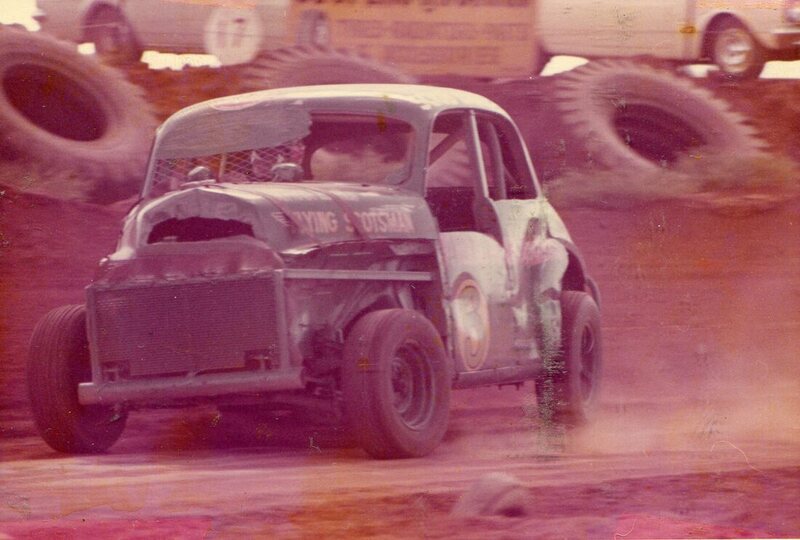 1971 - A collection of Bill Temperton pics taken through the lens of Kevin Cotterill at Pippingarra Speedway. 1971 - Bill Temperton - unknown - Doug Frost with Larry Landrover in the backround. Photo: Kevin Cotterill. 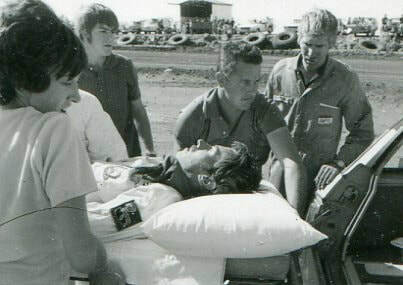 1971 - Family in speedway is what it is all about, Bill and Jan Francis two girls Anne and Lesley. Photo: Kevin Cotterell. 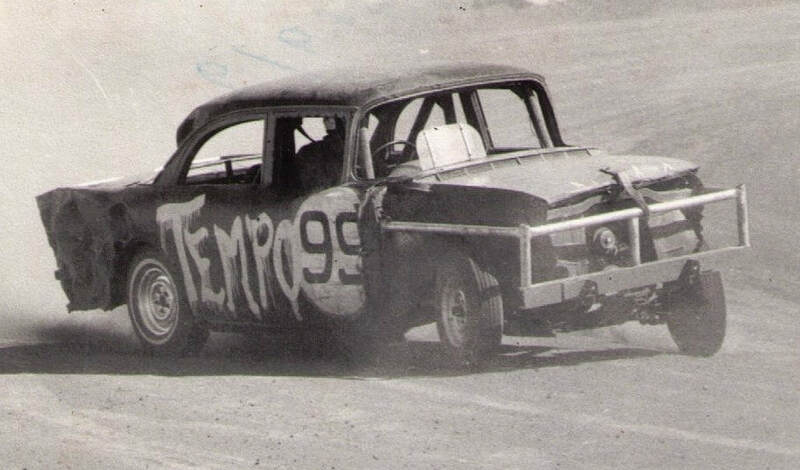 1971 - Harry Jones in his number 99 Holden 48 series leads fellow Goldsworthy driver Jeff Grist around Hedland Speedway. Photo: Kevin Cotterell. 1971 - Dave Macpherson make a big move up high. Photo: Kevin Cotterill. 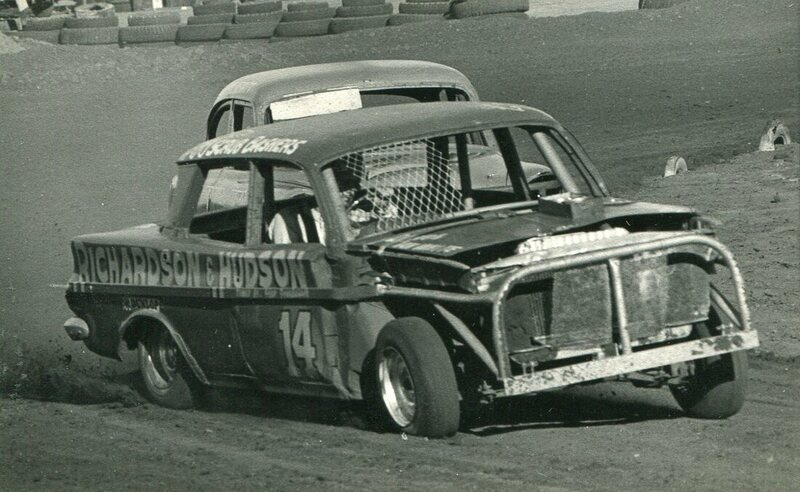 1971 - Sedan car action. at Pippingarra. Photo's: Kevin Cotterell. 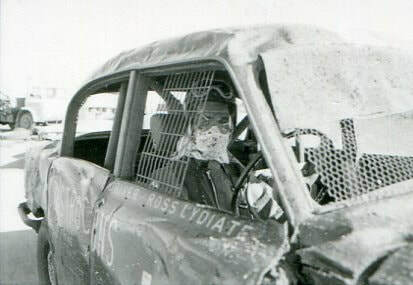 1971 - Tom Fulford in the FC Holden wagon. Photo: Kevin Cotterell. 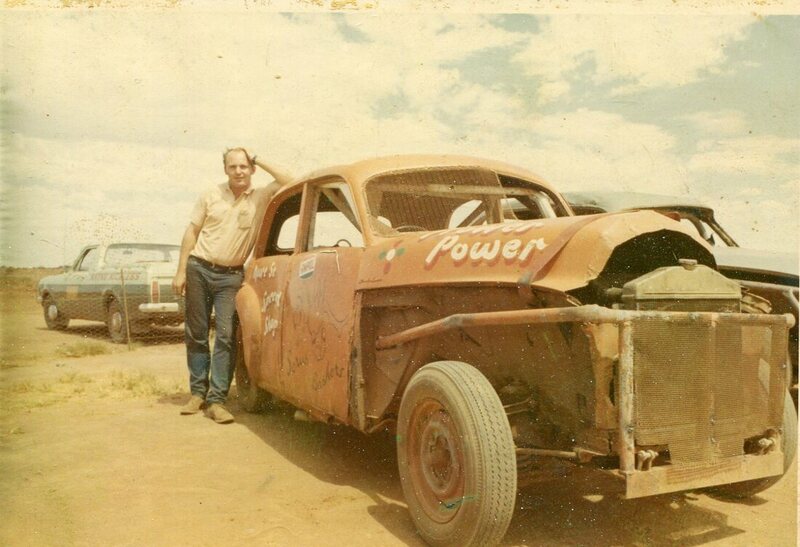 1971 - John Harry in the 25 EH Holden topped the Super Production field with16 points on the day. Photo: Kevin Cotterell. 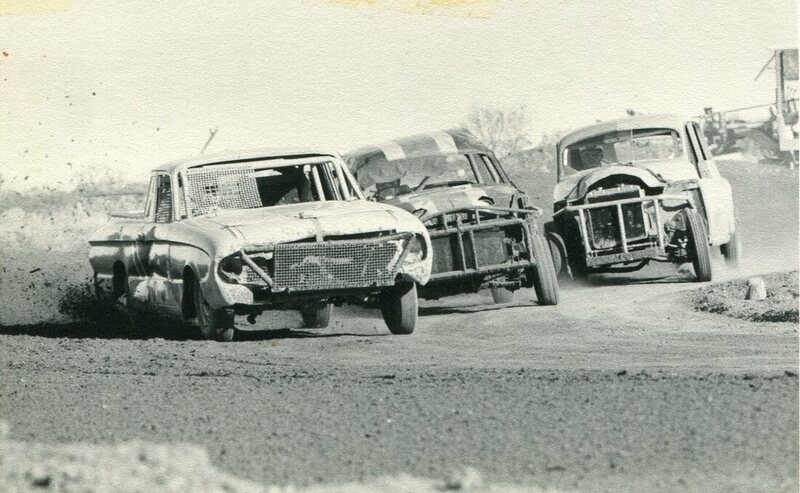 1971 - As always Ross Lydiate in the number 18 car put in some fine driving to finish the day up at the pointy end in Stock Production. Photo: Kevin Cotterell. 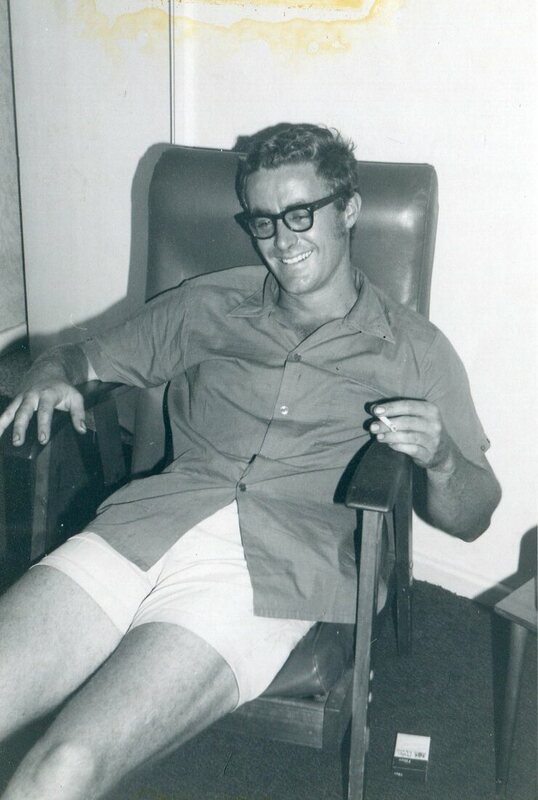 1971 - Jeff Grist from Hedland currently hold a commanding lead in the seasons points for Super Production. Photo: Kevin Cotterell. 1971 - Always fast on the day in the number 99 Vandal, Harry Jones from the Goldsworthy Club. Photo: Kevin Cotterell. 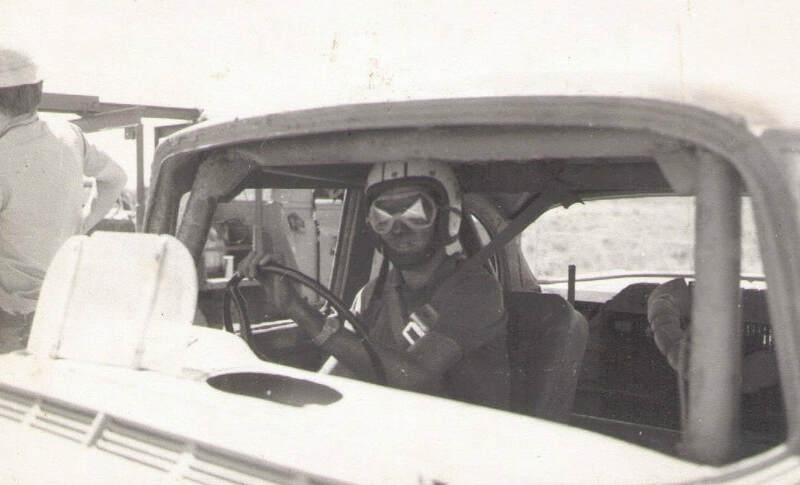 1971 - Tom Fulford in his FC Holden station wagon. Photo: Kevin Cotterill. 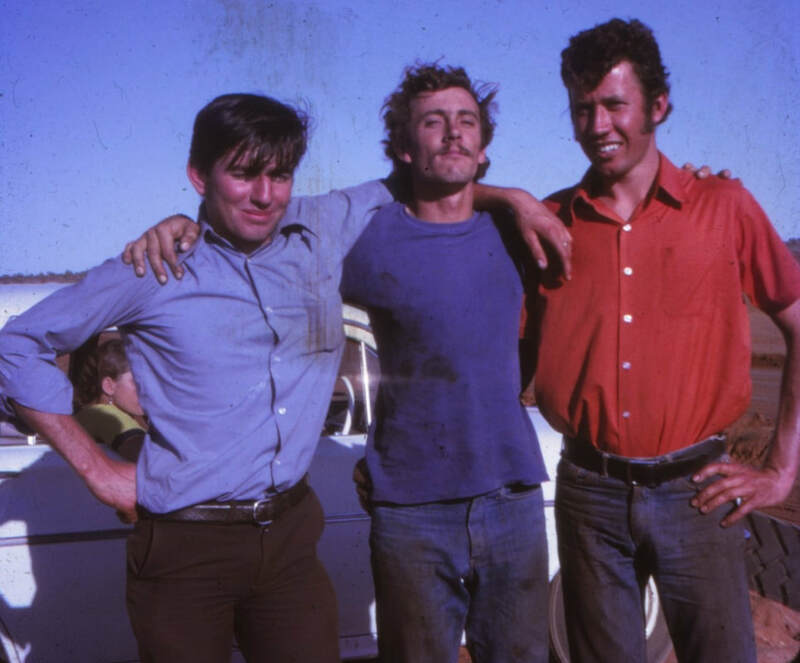 Dave first got involved in speedway way back in the Wild West days in Port Hedland, conditions were harsh and men were men. 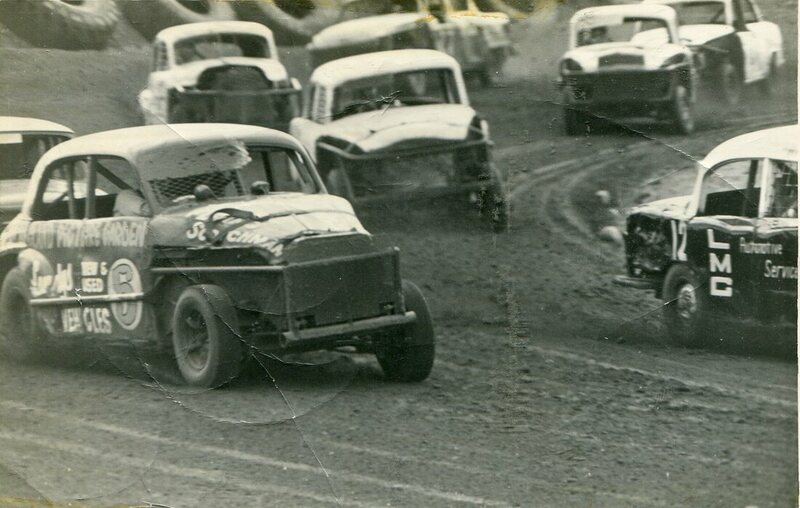 This was an era when the racing was hard and fast with tempers often boiling over on a regular basis. 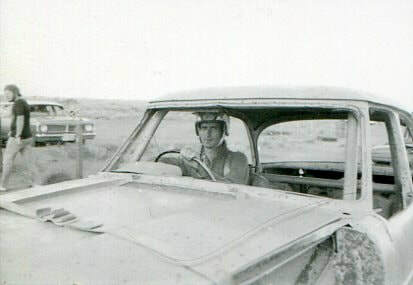 Some of these drivers like Dave Macpherson earnt a reputation for sorting out disputes behind the water truck like real men. 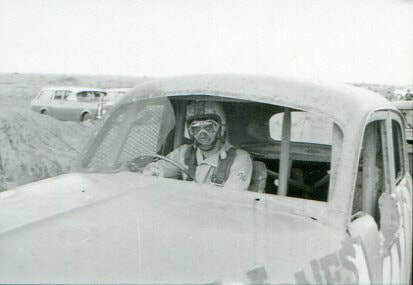 Dave's first race car he built was a blue 48 series Holden, He stuck with the early Holden car for quite some time, continuing to develop it to gain more speed and better handling, Dave raced in stock production and super stock and i beleive at one point he may of even fitted a V8 to one. 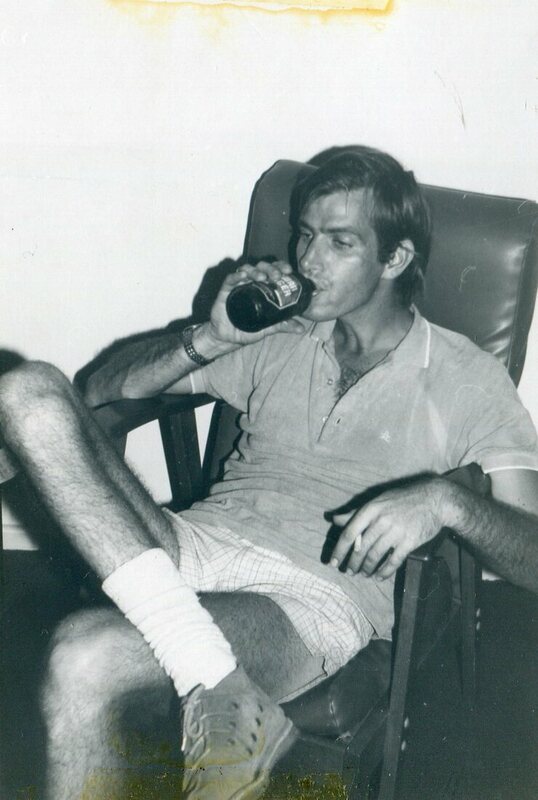 1971 - Photo: Macpherson family collection. 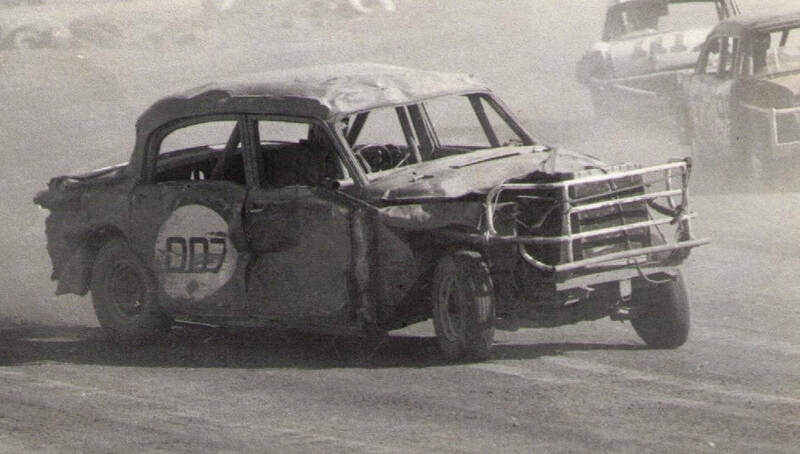 1971 - Dave beleived that the 48 series was the way to go and he continued to develop other versions of the car, This was the launch of the red car and the formation of the Scrub Basher racing team that Dave headed up from his home, known as the Moore Street Speed Shop. 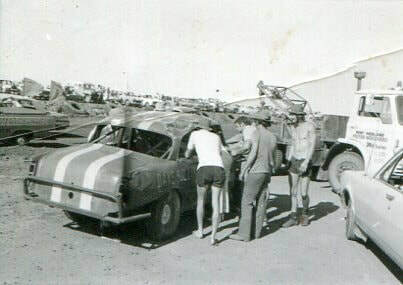 The Scrub Basher team was well known and respected through out the North West as the team to beat, This very low budget set up was based out of Dave Macphersons residential adress in Moore Street Port Hedland, The members of this team took great pride in the fact that they all operated out of the Moore Street Speed Shop.